Performance matters. Technology may allow us to "go bigger", but maybe not necessarily be better when it comes to performance. Servers and Internet connections are getting more sophisticated, and as a result, we feel the need to keep filling them. However, this isn’t the time to become lazy. This is the time to utilize the amazing tools that are available for making websites faster, and to learn how to improve user experience and satisfaction. 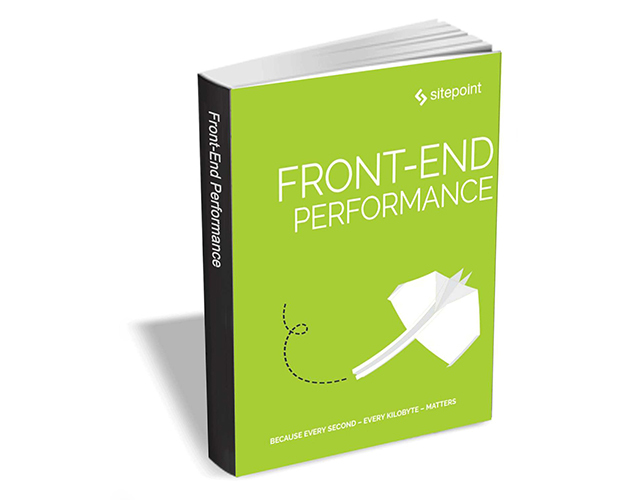 Front-End Performance is a practical collection of tutorials on front-end website performance for web developers. It’s packed with useful, real world hints and tips that you can use on your sites today. Front-End Performance usually retails for $29, but BetaNews readers can get it entirely free for a limited time. The offer expires on February 13, so act fast.